T-Rex produce a range of great quality, hand built guitar effects pedals and pedalboards, designed and built to the highest standard in their headquarters in Vejle, Denmark. 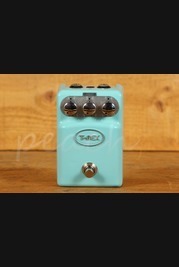 Their most popular pedal called simply 'Replica' is used by a number of popular artists including: Pete Townshend, John Mayer, David Gilmour and Steve Morse and has even won awards for its quality. 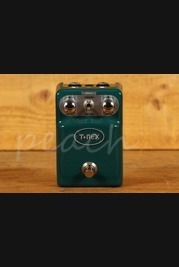 T-Rex also produce pedalboards, cables, pedalboard cases and power supplies all suitable for use with their pedals. Order your T-Rex product online today, if you'd prefer to try before you buy then head on down to our store based in Colchester and we will be happy to assist. Our team of experienced guitar enthusiasts are always on hand online and in store to answer any technical questions and to help you find the right product. Don't forget, if you order online and spend over £100 you'll enjoy free Next Day Delivery on orders placed before 3pm.